Ian Purkayastha packs his trunk and drives around New York City with $70,000 worth of truffles nearly every day. Here's how he became an essential player in the world's most competitive food scene. WASHINGTON — When I called Ian Purkayastha to talk about his new book, “Truffle Boy,” he was driving around New York City with about $70,000. Purkayastha’s car wasn’t filled with cash, it was filled with truffles — more specifically, a shipment of winter black truffles that had just arrived from Spain — and he was in a hurry. “From the moment they arrive, I have to pretty much sell them immediately because in a four-day span of time they can lose 10 percent of their weight. When you’re talking about $70,000 worth of truffles, it’s quite a lot of money you can lose if you don’t sell them in a timely fashion,” he said. Over the last 10 years, 24-year-old Purkayastha has become one of the world’s most well known truffle importers. He sells the luxury ingredient to 90 percent of New York’s Michelin-starred restaurants and runs the multimillion dollar food company, Regalis Foods. Purkayastha got his start as a 15-year-old living in rural Arkansas. His uncle, an avid outdoorsman, showed Purkayastha how to forage for morel mushrooms, and he became “obsessed” with anything that had to do with foraging and cooking with fungi. A taste of black truffle ravioli at a restaurant in Houston further fueled his passion and led Purkayastha to beg his parents to buy him a truffle for cooking purposes. But Purkayastha only kept one truffle from the order and sold the rest to local restaurants. “And for the remainder of the year I just kept reinvesting into bigger and bigger shipments, and my parents would take turns driving me from restaurant to restaurant,” he said. After high school, Purkayastha moved to New York to “sell truffles in the big leagues.” He started with cold calls to chefs, and over the years, business grew. Truffles are a prized ingredient in the culinary world, both for their unique taste and their relative rarity. Truffles, which are not technically mushrooms since they grow underground, cannot be farmed or cultivated. One must forage for them, often times with the help of a dog. “That’s part of the reason why they’re so expensive,” Purkayastha said. Truffles can be incorporated into almost any dish, but adding even the smallest amount will cost you. According to Eater DC, a plate of scrambled eggs with white truffles went for $25 at The Bird in 2016. At Kinship, 5 grams of white truffles in risotto rang in at $60, and the Georgetown restaurant, 1789, let diners add white truffles to any dish for an extra $60. Another reason for the price tag is that truffles are only available during certain seasons. 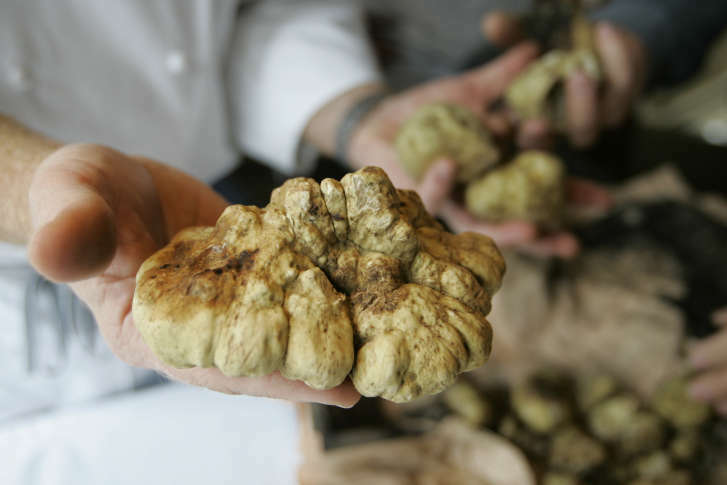 The white truffle’s season is October to December, and December to mid-March is peak for the black truffle. All things considered, Purkayastha’s competition in the truffle industry is pretty small. He estimates there are about four or five others in the U.S. who sell fresh truffles. However, during white truffle season Purkayastha sees a spike in the number of people who smuggle truffles into the country illegally to avoid customs and tariffs. Being constantly on call and willing to hustle is one thing that sets Purkayastha apart from his competitors, and that’s one of the hardest parts of the job — racing the clock while navigating one of the world’s busiest cities. Once a truffle is picked, it has about a seven-day shelf life. Purkayastha doesn’t seem to suffer much from product loss. In a November 2016 interview, he was on track to do $6 million in sales for the year. One reason why Purkayastha wrote his new book is to offer a behind-the-scenes glimpse into an industry that most don’t know exist. 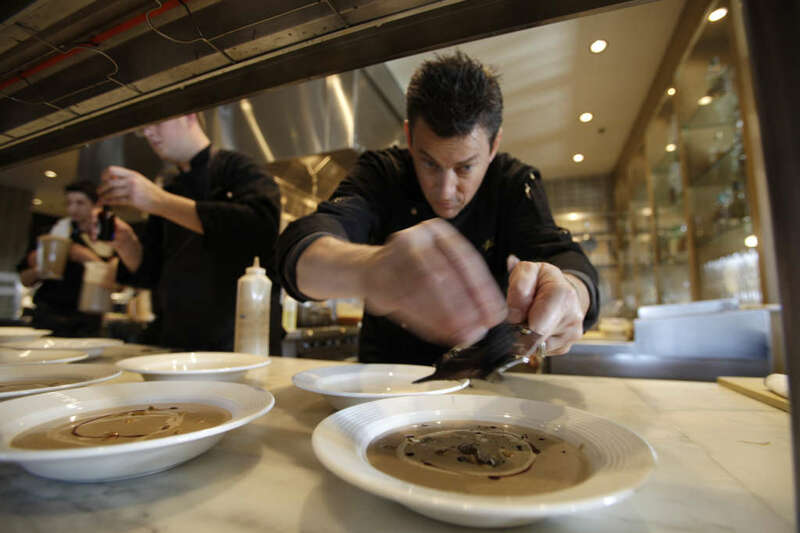 The other is to “demystify some of these once kind of snobbish bourgeois ingredients for a more approachable generation of young chefs and foodies,” he said.